Checking your computer for errors the Windows operating system is a computer maintenance issue rarely thought about but still crucial to speeding up a slow computer. Even the most advanced or expensive hard drive degrades over time, even with minimal use. Few hard drives are used minimally and are usually used full time to store photos, music files or video files. These files are spread over various portions of a hard drive, regardless of which application or program is using the file. The problem lies in natural hardware defects and in this case, a bad sector on a hard drive. Microsoft has built-in computer maintenance programs in Windows operating systems that check your computer for errors, like CHKDSK. A sector on a hard drive is simple unit designated to quantify a certain amount of space on the hard drive. A bad or corrupt sector is a sector that is no longer able to be used by the Windows operating system. 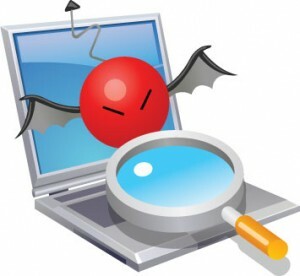 Your computer will attempt to save information like a photo or music file in a bad sector and will often detect this faulty instance, but sometimes Windows will not be able to detect that a sector in corrupted. Even if your computer is able to detect the error, time is wasted documenting this sector failure thus slowing down your computer. Saving information or files on a corrupt sector of a hard drive will make that file inaccessible for later retrieval or modification. This can lead to various errors when trying to access the file later as well as leading to programs crashing and freezing. All of these errors and computer slow downs can be avoided with regular computer maintenance provided by Microsoft Windows maintenance applications like Scan Disk and Disk Defragmenter. However, managing these computer maintenance tasks can be time consuming as well as complicated for some computer users. Choosing a computer software maintenance solution like the one provided by FreeComputerMaintenance.com can automate this computer maintenance process and help speed up your computer by checking your computer for for errors.